The main auditorium of the Women’s Development Centre, Abuja was the venue, on Sunday 22nd March, 2015 of a National Muslim Women Town Hall Meeting organised by the Office of the Senior Special Assistant to the President on Islamic Affairs & State House Mosque, Barrister Tahir Umar Tahir. The auditorium was full to capacity with mainly women from various Muslim organisations; there were some men also, not more than 1% of the participants anyway, which included some imams, Islamiyyah school teachers, paper presenters and representatives of the Muslim Students Society (MSS). “In continuation of the series of sensitization programmes in order to promote the need for the conduct of peaceful and violent (sic) free elections, I wish to respectfully notify you that my office is scheduled to hold sensitization/town hall meeting for 1500 Preachers, Imams, & Islamiyya school teachers of the FCT, Abuja. What I am trying to establish is the fact that none of the documents sent to me, from the letter of invitation to the conference papers, indicated that the National Muslim Women Town Hall Meeting was a political event or campaign event for any presidential candidate. Given the information communicated to me by the SSA to the President on Islamic Affairs & State House, Barrister Tahir, I came to the Town Hall Meeting with the intention of discussing Violence-Free Elections from an Islamic perspective. I shall revert to this aspect when I discuss the arrival of Her Excellency, Mama Peace, in the Second Session of the event. Before the First Session of the meeting, Barrister Tahir Umar Tahir made invited speakers at the event to understand the need to ensure formal decorum, quietude and orderliness on the part of the audience in the presence of the Special Guest of Honour, the First Lady. He was very explicit on the exception that some of her handlers took over her coming to the event in order to avert a repeat of the hurling of pebbles at her husband during some of his campaign tours in the Northern part of the country. Barrister Tahir was able to convince Mama Peace, however, ‘that all would be well.’ And on the strength of these assurances by the Barrister, Her Excellency overruled her security details and gave her word on attending the meeting regardless of the consequences. Therefore, we all resolved to address Barrister Tahir’s concern in our presentations, from the Lead Presenter, Ustaz Bashir Mundi, to the four discussants - 1) Sheikh Musa Olaofe, PhD, Imam, Ansarur-Ud-Deen, Abuja, (who was not present during the greater part of the First Session), 2) Sheikh Nura Khalid, Imam, Apo Legislative Quarters, 3) Yours Sincerely from the National Mosque, Abuja. (I may have cause, in the future, to write on why some people are uncomfortable with my being associated with the Abuja National Mosque, especially in public functions. This is a discussion for another day), and 4) Hajiya Raliat Akinbobola, Federation of Muslim Women Associations of Nigeria (FOMWAN). The speeches we gave were in English, Yoruba, and Hausa languages, according the proficiency of each speaker in a local language, but all spoke in English before translating into either Hausa or Yoruba. We devised this method of communication so as not to misinform or leave anybody out as to the seriousness of maintaining order when Her Excellency was around. Each one of us tried to show the position of Islam in the deference and honour a Muslim should accord leaders. We emphasised that there was not to be shouting, booing or interjection of abusive words when ‘Mama Peace’ is delivering her speech. Those unruly behaviours we should leave for hooligans and political touts, but this is a congregation of Muslim representatives from various Islamic bodies; therefore, we must exhibit discipline and adherence to the etiquette of public engagement between the leader and the ruled in the presence of Madam Jonathan. Security at the Women’s Development Centre (WDC) on that day could only be compared with what we saw during Mr Bill Clinton’s visit in August, 2000. Soldiers, police, civil defence corps and members of the DSS were everywhere outside, within the entire premises of the WDC, and in the auditorium hours before the arrival of Mrs. Jonathan. I do not blame her security details for doing their job, given the current insurgency challenges in the country, but the whole thing reminded me of how tight the security was during Clinton’s visit to the same venue about 15 years ago. For this First Session of the Town Hall Meeting under discussion everybody was seated before 11am after passing through rigorous screening of their cars at the main gate of the WDC, and other forms of search through metal /bomb detectors at various entrances into the auditorium. Once you came into the premises of the WDC you could not go out for anything until after the end of the Second Session later in the evening after the departure of Her Excellency, the First Lady. If you went out, you forfeited your chance of participating in the event, because you would not be allowed in a second time. The SSA’s office provided takeaway lunch and water for all participants, there was no reason, hence, for anybody to leave the WDC in search of food. When some participants wanted to go and observe Zuhr prayers within the WDC at the end of the First Session, they were advised to carry their handbags with them because the security personnel in charge of the auditorium would clear-away any unattended bags. This also reminded me of the airports where unattended baggage will be collected and destroyed by security men. The Second Session saw the arrival of the long-awaited ‘Mama Peace’ who was well-received by the audience. Some of the participants even exceeded what our admonitions requested of them; they gave Her Excellency standing ovation as she came on stage waving at the crowd of attendees of the Town Hall Meeting. She got raucous welcome from this full-to-the-brim auditorium. Among the entourage of ‘Mama Peace’ were Her Excellency, Hajiya Amina Namadi Sambo, wife of the Vice President, Hajiya Aisha Bala Mohammed, wife of the FCT Minister, and my sister and ‘mother’ Hajiya Zainab Maina, the Honourable Minister of Women Affairs, among others. During his Welcome Address to the gathering the SSA to the President, Barrister Tahir Umar Tahir updated Mama Peace on the composition of the audience, representing various Islamic organisations and Muslim women associations. He went further to establish from Qur’anic references what honour Allah has bestowed on womenfolk by, in addition to countless favours, revealing a whole Surah An-Nisaa (Women) in the their name. The SSA said, President Jonathan has achieved many successes in the areas of appointing women to many positions, robust handling of our security challenges, efficient tackling of the Ebola Virus Disease (EVD) on the verge of Hajj 2014, and the Almajiri Schools. Barrister Tahir ended his address by reminding the audience of working for peace and respect for their leaders quoting Qur’an, Al-Furqaan, 25:63 to buttress his point. I was disturbed and felt betrayed when I noticed, with the prompting of some brothers and sisters at the event, that truck loads of branded campaign ‘gift’ items were stationed and offloaded outside the venue ready for distribution to participants. I wondered sadly how a function meant to discuss peaceful elections would be turned into a campaign avenue for Mama Peace. So, I resolved to address the impropriety of stupefying unsuspecting Muslim representatives by deceptively turning a violence-free elections meeting into a presidential campaign event for Mama Peace’s husband. ‘Your Excellency, Mama Peace,’ I began, when it was time for me to speak as a discussant, ‘I have two requests to humbly make to you. Before you came, we had to intimate the audience on the difference between a political gathering and a religious one, and how to conduct ourselves as Muslim representatives from various organisations in your presence. And, Your Excellency can attest to that from the way you were warmly received when you came in today. Therefore, my first request is to avoid campaigning for anybody, so we can concentrate on the issue of the day, namely, our role in peaceful elections. The conveners should have invited the wives of other presidential candidates in order to make even participation of stakeholders. ‘Your Excellency, Mama Peace, we have not gathered today in order to support any political party or a presidential candidate. This is not the place for the distribution of any branded gift items or money. We are here to discuss peace, period. ‘My second request, Your Excellency, is for you to seize this moment and apologise for those bitter words you directed at us during some of your electioneering assertions which I will not repeat here. That word of apology will remove any rancour that may be lurking in our hearts against you. The Bible says in Matthew 5: 23-24 that if you come to the altar with an offering to the Lord and you suddenly remember that your brother has something against you, you should leave your gift at the altar, go and be reconciled with your brother, then return and make your offering. Unfortunately, when Mama Peace stood up to speak she failed to seize the moment or grant any of the requests. 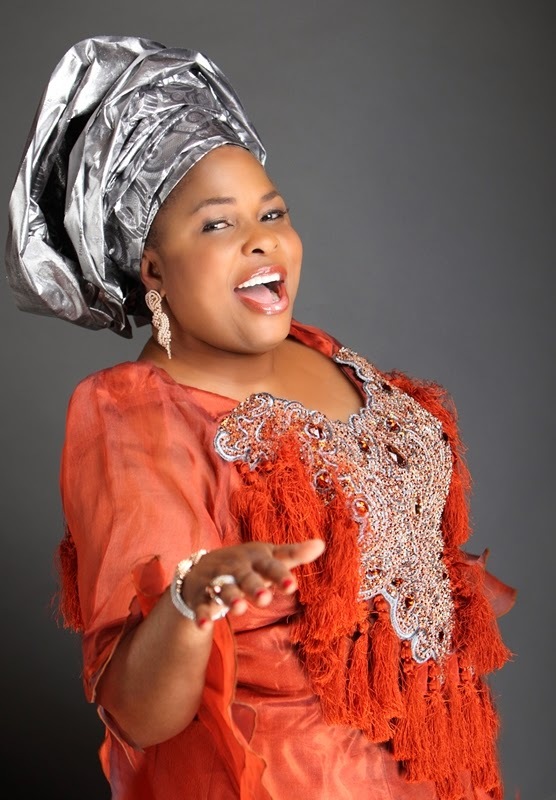 She said it was not fitting for anybody to ask her not to campaign for her husband’s reelection in an event organised by people who are in their positions ‘by the grace of Mr President and the PDP. If Jonathan is not there, they will not be there. Those who gathered us here are appointees of Mr President.’ According to her, since it is campaign time, she has to seek votes for Mr President. She then began a vigorous campaign for her husband’s re-election thereby frittering away the chance to be amenable and reasonable. She seemed to think the that world revolves around her. Her utterances betrayed a belligerent nature lurking behind the rustic look of harmless innocence. I wrote earlier about her not so peaceful utterances, the bulk of which I was requesting her to apologise for. Alas, I did not estimate that anyone occupying that position could be so blind to reason. Again, I wondered how ironic her nickname is.